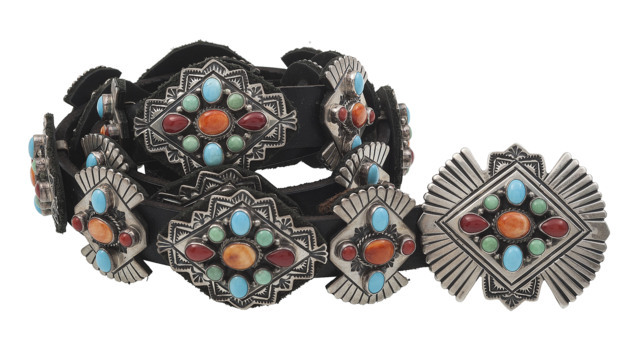 A fine selection of Navajo, Zuni, Hopi, Mexican, and Southwestern silver and turquoise necklaces, bracelets, belt buckles, and bolo ties. This auction includes a selection of Native jewelry from the collection of Art Gerber, Indiana and the collection of William H. Saunders, M.D. and Putzi Saunders, Ohio.